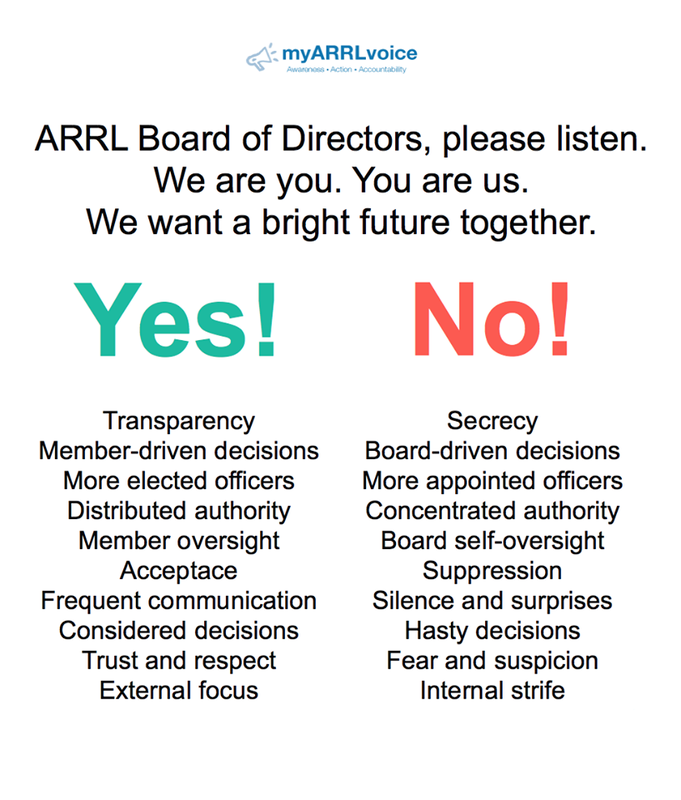 Are you concerned about the direction of the ARRL? This has been on the minds of a lot of US radio amateurs lately. DX hams I am sure are a bit worried as well, since ARRL tends to influence DX, radiosport and awards programs worldwide. Take some time to visit and make your voice heard. We are actively discussing plans, next steps and activism. 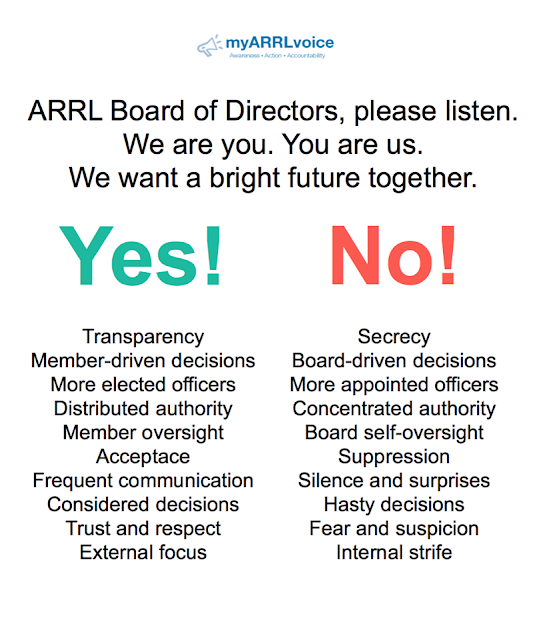 But they need you, the ARRL member, and also just radio amateurs in general to step up and make your voice heard. By the way, you ALSO need to make your voice heard to your director! myARRLvoice has put together this handy graphic. How about e-mailing this to your division director, along with some words of your own? Or how about discussing this with them in person? You voted for them, they should be listening to YOU. I will be doing a more comprehensive post about this, but for now, here is this.